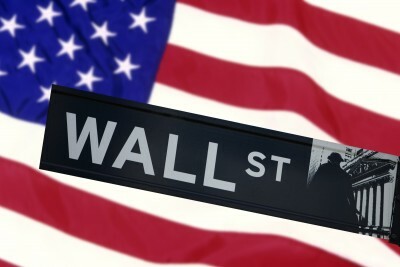 Home Market Commentary How Long will the Wall Street Rally Last? How Long will the Wall Street Rally Last? 2017 is now well underway and equities traders on Wall Street could not be happier. The Dow Jones Industrial Average has broken through the critical 21,000 resistance level and by 1 March was trading at 21,073.70. Not to be outdone, the S&P 500 index is hovering around 2,384, while the NASDAQ composite index is holding steady at 5,876. These numbers are significant in many ways. For starters, the Dow is trading at record levels. 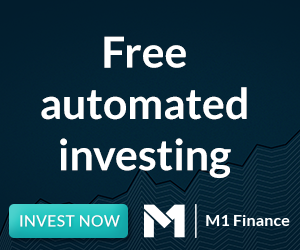 Over the past 1 year, the premier blue-chip index – the Dow 30 – is up 24.71%, while the S&P 500 index is up 20.02% and the technology-heavy index, the NASDAQ, is up 24.95%. Why are equities markets rallying on Wall Street? There are many reasons why equities markets rally, primarily sentiment about the state of the US economy. Jobs numbers, unemployment data, wage growth and the Trump factor are playing a big part in US economic robustness. Perhaps the most significant reasons for the unbridled rally on Wall Street are plans for massive fiscal stimulus. President Trump addressed a joint session of Congress on Tuesday, 28 February 2017. There he laid out his bold plans for the US, including massive fiscal expenditure to upgrade roads, infrastructure, railways, schools, the military et al. These plans require massive fiscal stimulus. Trump put forth a figure of $54 billion, but was not averse to raising that by $30 billion if necessary. Naturally, markets will react positively to such sentiment. These types of fiscal stimulus programs have a bullish effect on equities. Copper, steel, iron ore, cement, WTI crude oil and other commodities are going to roar back to life if fiscal policy measures kick in. That equities markets are currently running rampant in the US is also troubling. Analysts caution traders that whatever goes up must come down. The possibility of a pullback, perhaps even a correction is always on the cards. This is the nature of equities markets. Long-term though, prospects for the US economy appear solid. Robust growth, fiscal stimulus and monetary tightening will have a positive effect on the overall health of the US economy. How will the federal funds rate be affected in 2017? The FFR, or federal funds rate, is the interest rates set by the Fed FOMC. Fed chair Janet Yellen and vice chair Stanley Fischer have alluded to several rate hikes in 2017. As yet, we have not seen any increase to the FFR, beyond the 0.25% increase that took place in December. However, if FOMC members are to be believed there could be at least 3 rate hikes this year. In the event of a rate hike, the USD will strengthen and currency traders will sell Forex in favour of the greenback. This will also result in capital flows to the US. Naturally, the capital need somewhere to go, and it typically flows into equities markets, commodities markets or fixed-interest-bearing market such as treasuries. There are concerns that the debt ceiling will run into problems with ambitious fiscal plans as laid out by the Trump administration. Fiscal conservatives will want to avoid adding to the debt and rebuff plans for additional spending without concomitant cuts. Nobody wants the US to default on its credit obligations by piling on even more debt to the trillions of dollars that are currently owing. While Wall Street may be tackling hard issues, Main Street is dealing with the prospect of rate hikes. If the federal funds rate increases in the next few months, the cost of credit will increase accordingly. New homeowners will want to ensure that they lock in affordable rates prior to rate hikes, to avoid a bad credit loan. 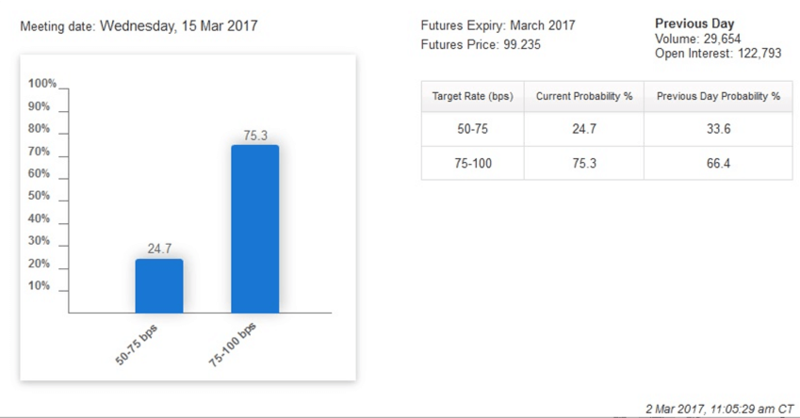 According to the CME Group FedWatch, there is a 75.3% likelihood of interest rates rising on March 15, 2017. This all but assures anyone looking to take out additional lines of credit that the time is nigh to act. Readers, what’s your take? Do you think the DOW is overheated? Do you think interest rates will rise in 2017? I do think that the market is overheated right now but once they start to raise interest rates that should help cool it down some. I think there is a direct relationship between how much that market cools off and how much they raise interest rates. Like all other events that I am not in control of I hope that I am able to position myself the best way possible. Interesting article. Thanks for sharing. Rate hike just happened (was priced in at 93% as of yesterday/this am). Not sure I see any short term impact on equity rally. We’ll be seeing a continuation of this for another while (likely 2-4 more quarters). My humble thoughts.